It’s only a matter of time until the Emerald Ash Borer rears its ugly head in Northern Colorado. As we’ve mentioned in previous posts, this pest poses a serious threat to local ash trees. But how can you tell if you have this type of tree in your yard? You might be thinking, “What the heck is opposite branching?” It basically means the branches extending from the limbs have a mate protruding from the exact opposite side of the same limb. Keep in mind that ash, dogwood, maple, and horse chestnut are the only trees that have opposite branching. A leaf that has a bud at the base of the stem is known as a simple leaf. A compound leaf, on the other hand, has more than one leaflet per leaf that connecting to a stem that has a bud at its base. It’s common for ash tree leaves to have anywhere from five to nine leaflets per leaf. This is another simple identification method. When you first plant an ash tree, you’ll find it has fairly smooth bark. As ash trees mature, though, they tend to have distinct diamond patterns. 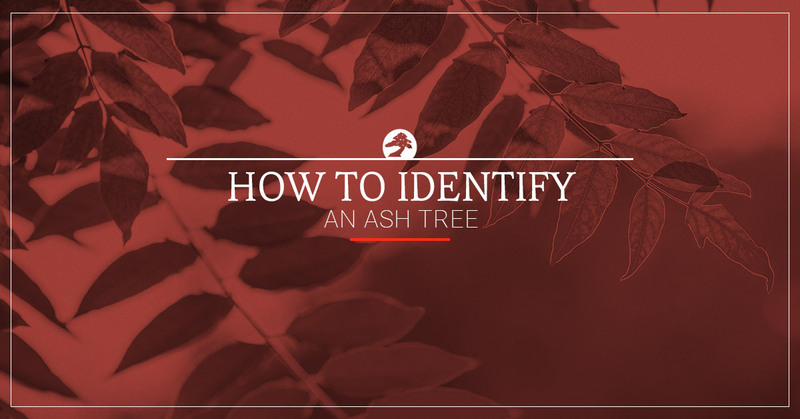 Let’s say you follow these identification methods and confirm that you do, in fact, have at least one ash tree on your property. How are you going to go about protecting your tree from the destructive Emerald Ash Borer? For those who aren’t familiar with this pest, the EAB has already killed hundreds of millions of ash trees in North America and was first discovered in Colorado six years ago. Unfortunately, this beetle is a threat to both green and white ash trees. Black, blue, and autumn purple ashes shouldn’t be considered safe from the pest, either. With spring just around the corner, now is the time to start planning your defense against the Emerald Ash Borer. We often speak with homeowners who underestimate the EAB. But the reality is that this pest can wipe out an entire neighborhood of ash trees before you can blink. While it might be tempting to take matters into your own hands, the best plan of action is to contact a certified arborist. Schra Tree Care is not your average tree service. Loveland residents have relied on our expertise for more than three decades. As longtime Northern Colorado residents ourselves, we’ve come to understand the unique growth patterns and nutritive needs of our region’s urban forest. This allows us to provide unmatched tree care during any time of year. Don’t make the mistake of ignoring potential ash tree disease. If you have any suspicion that your ash tree’s health might be compromised, reach out to one of our licensed arborists. We will do everything in our power to save your tree. Contact Schra Tree Care today.